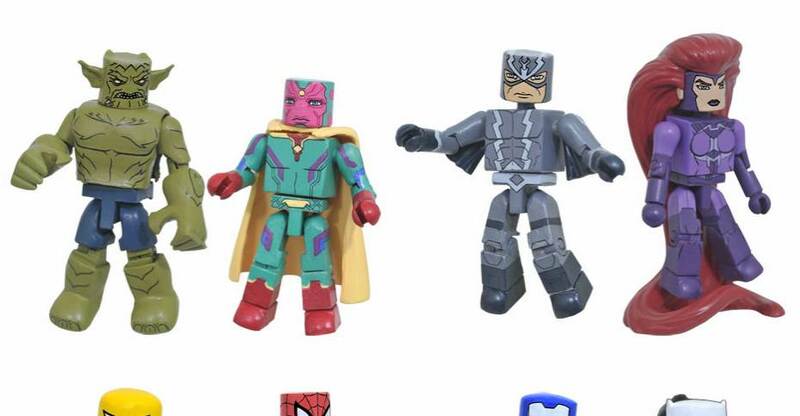 Photos and details have been released for the newest assortment of Marvel Animated Minimates. The new wave from Diamond Select Toys features characters from Ultimate Spider-Man: Web Warriors and Avengers Assemble. The 2-packs will be exclusive to Walgreens stores. See the details below and read on for in and out of package photos of the wave. The Dark Knight – Toys Rocka! Cobra with Airbike – Toys Rocka! Check out all the images by clicking the title of the story. King Arts had a Marvel license display at Toy Soul 2015 in Hong Kong, and they’ve entered the high end collectible market with a bang. They have a wide selection of 1/9th scale Marvel Universe figures including many different Iron Man armors and a Hulkbuster. Also seen were 1:1 scale props and statues. Read on to check a selection, and hit Toy People News for the full set. 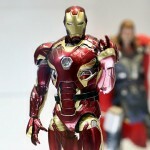 Check out a few Marvel themed items coming from Gentle Giant. 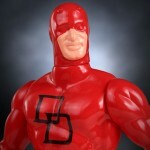 First up we have a Marvel Secret Wars Style Jumbo Daredevil Figure. They’ve also updated their listing for the Iron Patriot Statue with new photos. These items are due in the third quarter of 2016. Colonel James Rhodes was Tony Stark’s friend long before they both donned their armored suits. After Colonel Rhodes re-purposed the Iron Man MK2 armor (Iron Man 2), his suit was upgraded from War Machine to Iron Patriot. 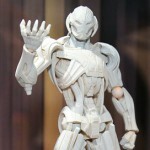 This new armor configuration was just another step towards “Rhodey” becoming an Avenger! Utilizing digital sculpt and scan data files from the original motion picture, Gentle Giant Ltd. has recreated Iron Patriot in this amazing 9 inch tall 1:7 scale statue. This stunning collectible was printed on top of the line 3D Systems printers, making it possible to capture the intricate details of the character’s costume and accessories in spectacular high-resolution. Each Iron Patriot 1:7 scale statue is hand cast, hand painted and hand numbered with a limited edition certificate of authenticity. Gentle Giant Ltd. is proud to celebrate the Marvel Cinematic Universe with this one of a kind statue. Make mine Marvel! The folks from Sen-Ti-Nel co. were in attendance at NYCC 2015 and they brought a big bag of AWESOME with them! Their display includes a little something for everyone, so let’s check it out! If Comic heroes are your thing, then you’re definitely going to want to check out their RE:EDIT Iron Man collection! 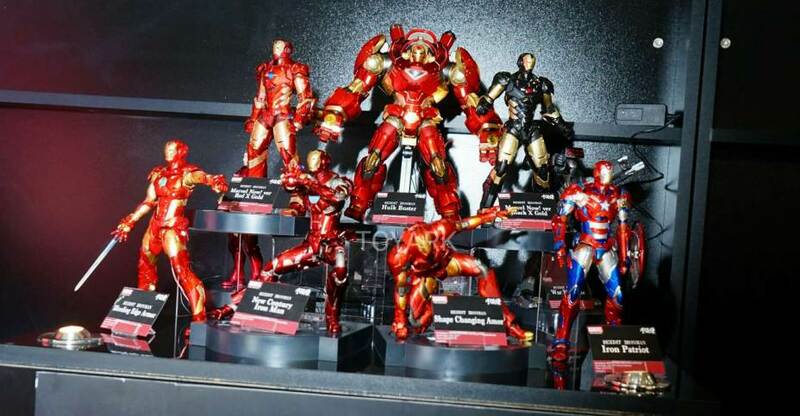 On display were their Bleeding Edge Armor Iron Man, Iron Patriot, War Machine and Extremis Armor Iron Man! If Mecha is more your thing, then you’re in luck! On display were both versions of Sen-Ti-Nel’s Gaiking (including Open Face Version) and the oh-so-awesome Armarauders Bellerophon! Lastly, if Anime is more your style, then you’ll dig their assortment of Attack on Titan figures! You can check out the full gallery of images after the jump! Pricing and details for each offering can be seen alongside their respective images after the break! The best part of the Yes Anime booth at San Diego Comic-Con 2015 may be their display of the Harry Potter 1/6 Scale Figures. 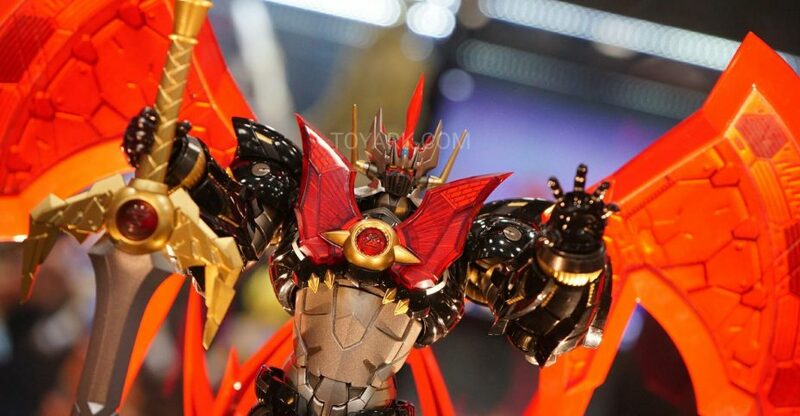 The figures, by Star Ace, feature great likenesses and a ton of accessories. Most of the other items have been seen before, but they’re here so you can get a feel for the booth.